Some call it a sub. 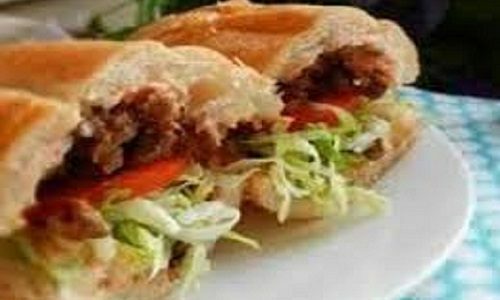 Folks in certain parts call it a hero, and others call it a po’boy. Up here in North Dakota, where Jumbo’s is from, we call this delectable sandwich a grinder. Here’s what you’ll need: first, you will want a long loaf of bread, then a 14 oz. jar of Jumbo’s Original or Jalapeno Sloppy Joe Sauce. Next, your favorite cheese, and additional meats like turkey, ham or salami (or heck, ALL of them!). Sound good so far? Finally, if you like, add in: lettuce, tomato, mayo or other spreads, and you have every option that you need to make your grinder your very own.